I liked the first book in this series, The Vicar’s Daughter. So, I got excited when I heard about the second book. 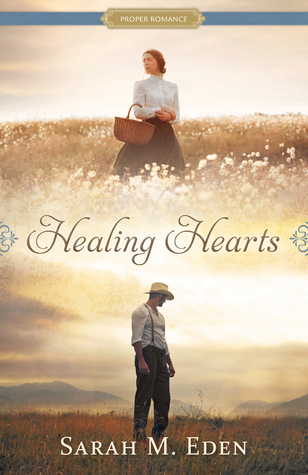 I like how it’s told from Lenora’s perspective, and how it shows her healing and growth throughout the book. Lenora definitely got the raw end of the deal in the first book, so I hoped that she would be able to find happiness in this second book. Does she? How does her teaching go? 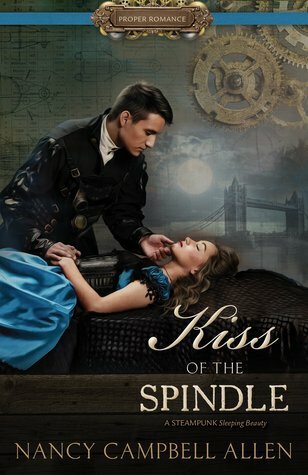 Well, I won’t reveal too much, but find out what I thought about this book in my book review of Miss Wilton’s Waltz by Josi. S. Kilpack. “Lenora Wilton has spent her life hiding behind the keys of her beloved pianoforte and the vibrancy of her younger sister, Cassie. 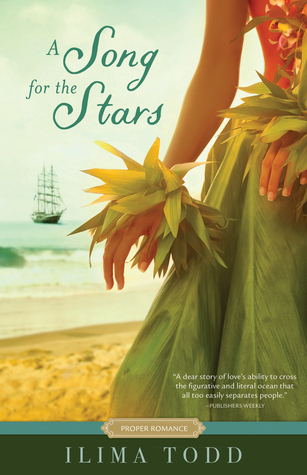 But Lenora is ready for a change and begins her journey of self-discovery by traveling to Bath to live with Aunt Gwen and teach music at an all-girls’ boarding school. She is different in Bath and enjoys the freedom and independence of her new life there. When Lenora meets Aiden Asher, she finds herself attracted to him, but her unexpected feelings become more complicated when she learns that Catherine—Lenora’s newest and most troublesome student in the school—is Mr. Asher’s niece. Catherine is a difficult student, but Lenora feels as though she is making progress with the girl even as the chemistry between Lenora and Aiden increases. 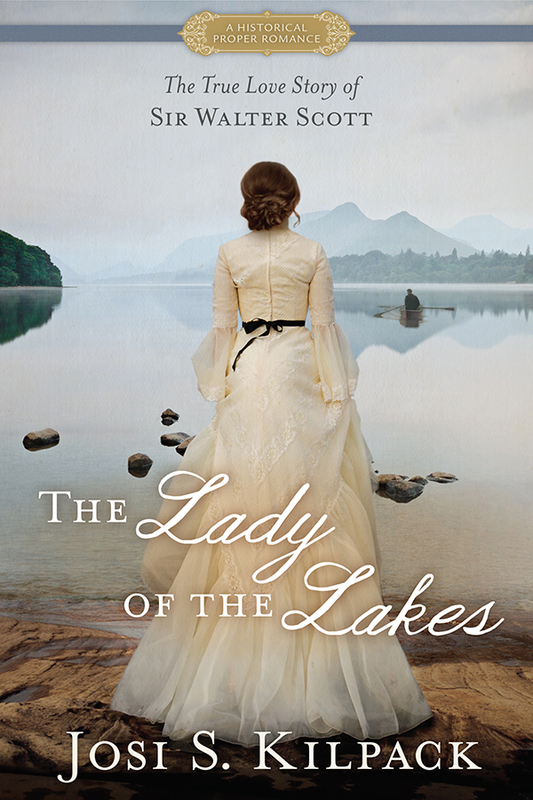 When they share a passionate kiss by the River Avon, Lenora feels it is the beginning of a new forever—until she learns that Aiden has withheld an important detail about his life that changes everything. I’m a sucker for romantic stories. You add teaching to that, and I’m hooked. Reading about Lenora teaching and trying new things to help her students reminded me of my teaching days. It almost made me miss it. And then comes Catherine. Ha! Yep, I don’t miss dealing with unruly students. I had a few of those, and it’s difficult. You know that they just need love and stability, but it’s hard to get them to the point where they trust you. I liked Lenora a lot. Her character was well developed and real. Although I could relate to her in some aspects, I couldn’t in others. That’s fine, though because people are complex. I liked her dedication to her students and felt bad for her difficult position. Aiden grew on me; I didn’t like him at first. He seemed gruff and insensitive, and made some choices that irritated me. His character was well developed, complex, and also real. Catherine is one of those characters that you want to like. You feel so bad for her and the struggles she’s had in her lifetime. It seems as if when you put your arms around her and care for her that she’ll either stomp on your love or embrace it wholeheartedly. And, you never know which one you’ll get. I thought her character was also developed well. Aunt Gwen was one of my favorite characters. She seemed like she would be fun to hang out with. I thought the book was well written. It was a little predictable, but there were a few surprises along the way that made it interesting. I liked the story line and the characters. There were a few times that the characters irritated me because of their choices, but overall I enjoyed it. It’s a fast, easy, entertaining read. 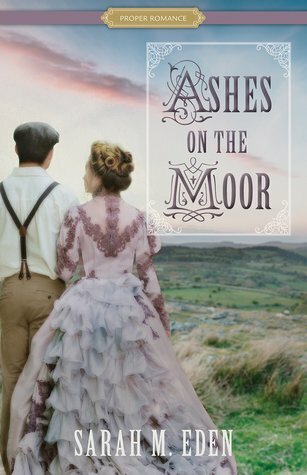 I thought that there was just enough romance; it wasn’t overly cheesy (Just a little cheesy—but you need a little cheese with your romance, right?) 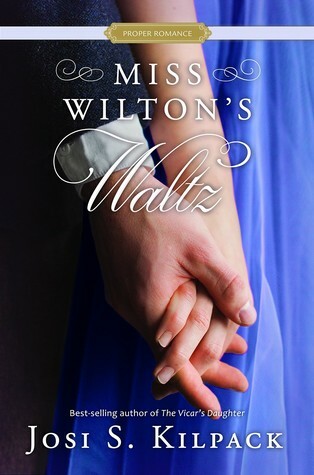 If you enjoyed The Vicar’s Daughter, you will enjoy Miss Wilton’s Waltz. “Greta loves her job as assistant librarian. She loves her best friend, Will, the high school English teacher. She even loves her mother despite her obvious disappointment that Greta is still single. When the Franklin Library is threatened with closure, Greta leaps into action. She arranges for a ‘battle of the bands’ book jam, hosts a book signing by a famous author, and finally, stages a protest that raises more than a few eyebrows. Through it all, she slowly realizes that it is Will, not Mac, who she turns to for support and encouragement. Mac has the looks: Will has the heart. How can she choose between them? I liked this book a lot! 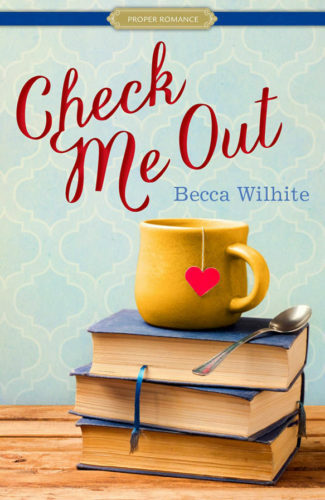 The main character, Greta, is a librarian, so what’s not to love? She has a great voice in this book; she’s witty, hard working, intelligent, has a great job, and is young and hip. Greta tries hard, even though she sometimes misses the mark a bit (the little stunt she pulls was not my favorite part). I liked how much she loves and cares for the library. Maybe I liked Greta because I think being a librarian would be fun, but in any case, I think she made a great main character. One thing that drove me crazy about Greta was that she kind of had the Bella from Twilight thing going on with Mac and Will. They both seem like great guys. She needs to choose which features are more important to her, and she definitely has a hard time figuring this out! Will has been her best friend forever. He may not have the looks, but he knows everything about her, and he’s caring and kind. Mac is hot (according to Greta), but he doesn’t quite take care of her like Will does. He’s a good kisser, though, so that makes it a hard choice. This book is well written, and I enjoyed it. I like the writing style because it’s easy to read and it flows well. One part of the formatting that I didn’t love were the whole pages filled with text messages. The text messages weren’t difficult to read, in fact, I read those pages quite quickly. However, I like reading real sentences–you may disagree. In any case, I enjoyed this book. It’s a fun, entertaining read. There’s even a hint of a mystery, which added a fun twist. Well, I’m pretty sure I’ve read everything Jane Austen has ever written–twice. So, when the publisher contacted me about reviewing this book I had to do it! Jane Austen lying? No, say it can’t be true! This is a cute book. It took me a few pages to get into it, but soon I was hooked! Emma is smart, intelligent, capable, and a character that is easy to relate to. She has a voice that is easy to read. She’s a bit of a mess, actually, but it made me feel better about myself; although I’m not perfect, I have it more together than she does! For part of the book it kind of has a Bella/Jacob/Edward thing going on, and you just want to scream at Emma because it’s so frustrating. Blake and Lucas each have their strengths and weaknesses, and they’re both well developed and good supporting characters. I love Silvia, she totally reminds me of a few of my high school friends. We even have the cheesecake thing in common (that scene brought back a lot of memories). I did think that the ending of the book left an unanswered question about Silvia; what was going on with her and why was she clearly so upset? That aspect of the story wasn’t ever resolved; Emma’s troubles definitely got more attention in the book than Silvia’s did. 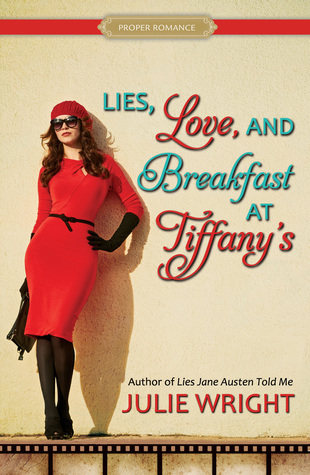 I loved how each of the chapters began with a quote from a Jane Austen novel! It made me want to go back and reread all of them. There was one thing that bugged me a bit, but it’s pretty nit-picky: the woman on the cover didn’t at all match what I thought Emma should look like. It’s ok, though, definitely not a deal breaker. This book was a quick, easy read, and quite entertaining. 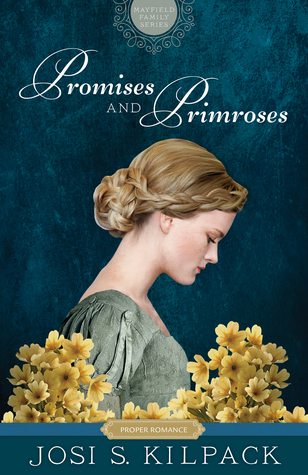 It’s the perfect read for any Jane Austen fan or proper romance lover. I enjoyed this book and recommend it if you’re looking for a cute, entertaining read. 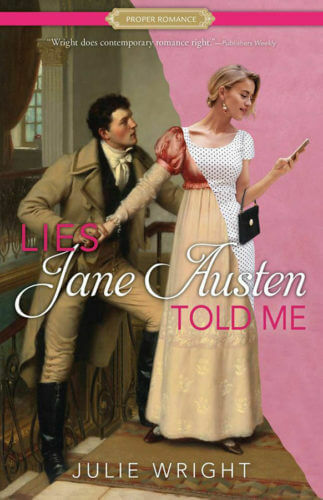 There were also some very good lessons in this book: assuming things without all the details will get you into trouble every time, be honest with yourself and others, and never doubt Jane Austen!